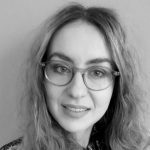 This explainer by Alexandra Mateescu and Aiha Nguyen defines algorithmic management and reviews how this concept challenges workers’ rights in sectors, including retail, the service industry, and delivery and logistics. 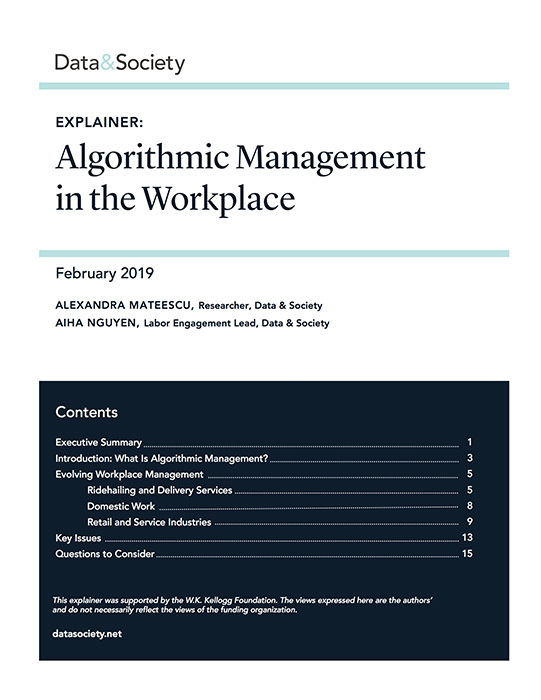 The authors outline existing research on the ways that algorithmic management is manifesting across various labor industries, shifting workplace power dynamics, and putting workers at a disadvantage. It can enable increased surveillance and control while removing transparency. Defined as “a diverse set of technology tools and techniques that structure the conditions of work and remotely manage workforces,” algorithmic management relies on data collection and worker surveillance to enable automated decision-making in real time. For example, an algorithm might decide and assign servers’ shifts. Because companies aren’t “directly” managing their workers, algorithmic management makes it easier to classify workers as independent contractors, thus relieving companies of the pressure of providing standard worker benefits. Algorithmic management can provide avenues for bias and discrimination, while making it difficult to hold companies accountable. 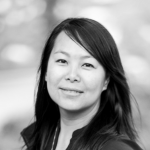 Companies ultimately benefit and continue to scale operations while cutting costs and labor. This explainer from Data & Society provides a basic introductory overview to concepts and current issues around technology’s impact on the workplace. It is being co-released with an explainer on Workplace Monitoring & Surveillance. For more coverage of emerging issues in labor and technology, visit Social Instabilities in Labor Futures.